Every day and every relationship is a gift and this group of Realtors doesn’t take anything for granted. Thani & Landon Burke are a married couple with over 16 years of experience in the ever-changing Dallas market. They work smart with eye-catching marketing and intuitive systems powered by Compass. With these systems in place, each client feels like a VIP from start to finish. And when the deal is done, the support continues and the relationship keeps growing. That’s the way it should be. 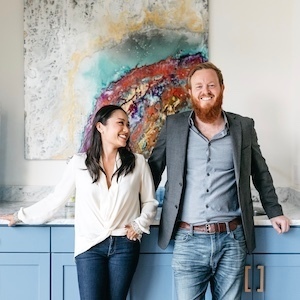 Thani and Landon are also the creators of Urban Scene which hosts pop-up art galleries inside luxury listings throughout Dallas. They do about 4 events every year with the purpose of bringing the community together to support local artists, local businesses in the area, and the listing gets a lot of exposure as well. It’s really fun and exciting and it has become Thani & Landon’s favorite way to give back to the community that they love. $10 entry fees and 30% of all art sold is donated directly to the featured non-profit for each event.